PraEis, Ltd. is focused on the Industrial Sector of the construction market with an emphasis on the design build delivery method serving the needs of the Power, Automotive, Metals, Chemicals and Manufacturing industries. We believe in working with our clients to develop capital expansion program strategies based on the proven methodologies used during the design, build and construction of several projects for a lump sum price. These Peaking Generation projects consisted of 170MW and 340MW facilities were completed on schedule with smooth transitions to operational start-up. PraEis, Ltd. is a Constructor of Design Build Projects for Power Generation and Distributed Energy clients. Developing specific teams for the engineering, construction, equipment installation and commissioning of Combined Heat and Power projects, Co-generation plants, Simple-Cycle Peaking Facilities and Green Power (windmill) projects. 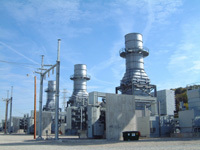 Our client base is comprised of the Power Generation companies, Original Equipment Manufacturers and direct clients such as large industrial manufacturers (Automotive, Chemical processing, Petroleum processing, Hospitals, Manufacturing, Power and Steel Industries) who are in need of additional Heat and Power capacity for their plant's requirements. The project management capacity of PraEis, Ltd. includes the ability to bring the right partners to the project including engineering firms, OEM's, Subcontractors and Specialty Contractors to give the client the best possible proposal. 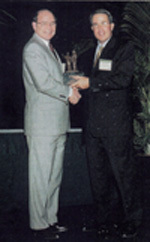 PraEis, Ltd. is proficient in the use of high-level computer-based and paperless communications technology. Direct links via T-1 lines with our construction sites allow for instant transfer of CAD drawings, specifications, schedules and production data. Videoconferencing systems facilitate quick problem resolution involving project team members and clients. As a Design Build Constructor for DE/CHP Cogeneration Plants, PraEis, LTD. will form consortia with AE's, OEM's, Electrical, Piping and Specialty Contractors for delivering Lump Sum Design Build projects to our clients. If required, PraEis can also help our clients obtain financing for these types of projects. Meet with the client to fully understand his/her needs and special conditions of the project as they pertain to the cost, schedule and safety. Form a consortium with AE's and OEM's, and Subcontractors to submit a lump sum Design Build proposal to our clients. Work with AE's and OEM's on proposals to their clients taking responsibility for the construction cost and schedule. Identify, qualify and select electrical, piping and specialty subcontractors to participate in the consortium proposal. Coordinate the compilation of information into a lump sum design build proposal. Develop a detailed project schedule on Primavera software. Coordinate the compilation of estimates into a lump sum price broken down into a milestone payment schedule. Take the lead role in making all qualification presentations to the customer. Take the lead role in negotiating the final contract with the customer. Provide project management, construction management, site supervision and customer interface for the duration of the project. As a Design Build Consultant, PraEis, Ltd. develops capital project strategies and assists in their delivery. Developing capital expansion program strategies based on the proven methodologies used during the design build and construction of the power plant projects outlined in the Project Experience section of this site. 15% estimate for determining financial viability. Identification, qualification and selection of AE to develop detailed scope, schedule and control estimate. Identification, qualification and selection of Design Build bidders. Evaluation of bids and successful bidder recommendation. In the power industry PraEis, Ltd. is focused on Gas Turbine Power Generation; Cogeneration-Distributed Generation/Combined Heat and Power (DG/CHP) and Emissions from Coal Fired Generation Plants (Flue Gas Desulfurization-FGD) as a Design Build General Contractor. inevitably to help them manage energy in a way which will provide them with significant cost savings. Distributed generation power sources range from gensets with outputs of less than 100KW to turbines rated up to 20MW. Up to forty percent of a commercial customer's energy bills can consist of demand charges. Customers utilizing DG resources can measure, analyze and manage their energy generation and consumption systems in real time so they can more efficiently operate and maintain their facilities by using cost curves to deploy assets and meet price curves. CHP can strengthen the nation's energy infrastructure as well as the industrial sectors energy infrastructure. A proven form of distributed (on-site) generation (DG), CHP recycles valuable waste heat and turns it into cooling, heating, and power. The result: CHP facilities keep running during power outages or interruptions. And they can even provide power back to the grid during emergencies or periods of peak demand. At the same time by recycling energy, CHP lowers energy costs and significantly reduces the impact of power generation on the environment. At first most vertically integrated electric utilities view distributed generation (DG) as an unprofitable market segment and many times they view it as a threat to their traditional business as well as to their transmission and distribution systems. There are, however, several electric utilities across the country who have embraced distributed generation (DG) and are utilizing it where they have poorly performing circuits, such as in undersized substations where a 1 to 2 MW increase in power is all they need. The DG solution allows them to hit their peak period needs and defer the capitol investment-which saves everyone money. Over the past four years about 200,000 MW of new gas fired generating plants have been built, significantly increasing demand for gas while prices continue to rise. Demand for gas is rising and the U.S. gas production is declining. Spot market gas prices climbed to above $6.00/MMBtu in June of 2003, which is almost double the level of a year ago. Based on the needs of their clients, PraEis, Ltd. is also involved in a program with a company in California which has a patented technology which reduces the Nox (nitrogen oxides) and So2 (sulfur dioxides) emissions from coal fired boilers allowing them to operate well within the EPA emissions protocols. PraEis, Ltd. has developed extremely successful teaming arrangements with local and national firms who can provide the most cost effective engineering, equipment procurement and construction solutions for your projects such as Swisher and Associates, Acres International, The Atlantic Projects Company and Encorp. The PraEis teams are chosen specifically for projects based on their cost effective lump sum design build methodology. Their ability to perform cost effectively is due to their low internal overhead and their specific experiences and abilities to manage the Design Build process with the most effective labor and project rates. It is with this philosophy that PraEis, Ltd. moves forward assisting clients with value added technology as a Design Build General Contractor. In addition to their experienced executive management team, PraEis, Ltd is developing an advisory board. These board members will successfully keep PraEis up to date in their target markets and provide continued business opportunities. These individuals will also provide valuable input and guidance in the acquisition strategy as PraEis, Ltd. looks to expand the self-performing division of the business. PraEis, Ltd. has developed extremely successful teaming arrangements with local and national firms who can provide the most cost effective, engineering, equipment procurement and construction solutions for projects. The PraEis teams are chosen specifically for projects based on their cost effective lump sum design build methodology. Their ability to perform cost effectively is due to their low internal overhead and their specific experiences and abilities to manage the Design Build process with the most effective labor and project rates. PraEis, Ltd. has assembled a team of the Superintendents, General Foremen, Foremen and Tradesmen who have worked together over the past thirty years serving industrial and power clients' needs. 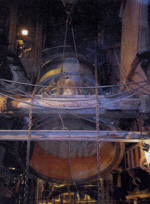 The PraEis team possesses a unique understanding of working in operational, heavy industrial facilities. Coupling years of field experience and the ability to think outside the box for these types of construction projects provides clients with the quality they desire with outstanding safety records. PraEis, Ltd. is focused on safety and quality, which are the two critical driving forces of a first class general contractor in today's construction market place.